The brew is dark, bitter, but a powerful remedy for the woes of menopause, arthritis pain, and is often combined with black cohosh to treat menstrual disorders and induce labor. Good for delayed periods, menopause symptoms, and cramping periods. 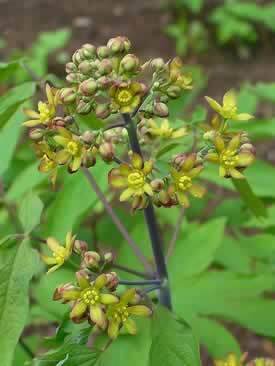 Recipe Instructions: Decoction :Use the dried chopped roots of blue cohosh to make an herbal tea.